The Academy is designed for student-athletes who aspire to play basketball at the collegiate level. Participants will be exposed to various drills and competitive games and will have the opportunity to learn from MIT coaches and players. The Basketball Academy will host two single day sessions and most participants sign up for both. There is no overnight stay on campus (hotel suggestions here). The Academy will be held at Rockwell Cage inside the Zesiger Sports and Fitness Center “Z Center” on the campus of MIT. 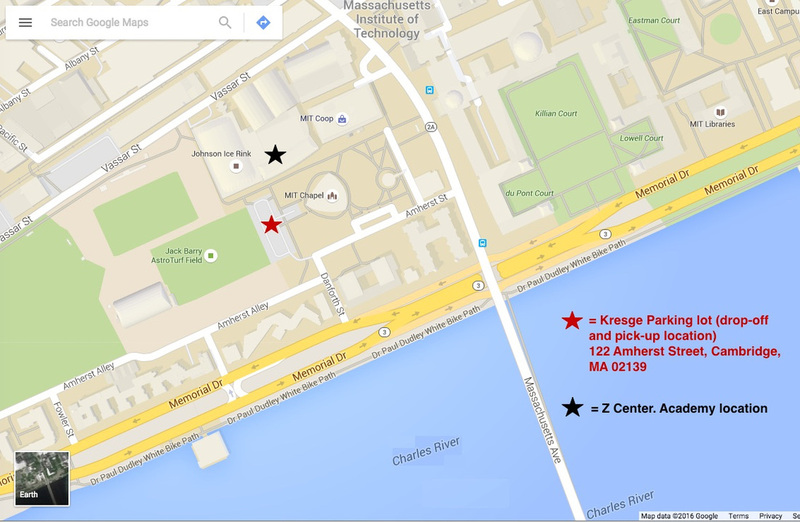 Drop-off and pick-up will occur at the Kresge Parking lot: 122 Amherst St, Cambridge, MA 02139. You will see a parking booth at the end of Amherst Street. An MIT Basketball t-shirt and lunch is provided for all Academy participants.